This is in Eastern Kentucky, west of Whitesburg. There were several trucks there with this company name on them. “Sexco” used to be a trademark of a telecommunications company, a provider of dial-up equipment, but the mark was abandoned in 2001. Guess what the name is used for now. Time’s up. You got it. Kind of standing by itself beside a convenience store just off the highway, this post office designation dates from 1898. 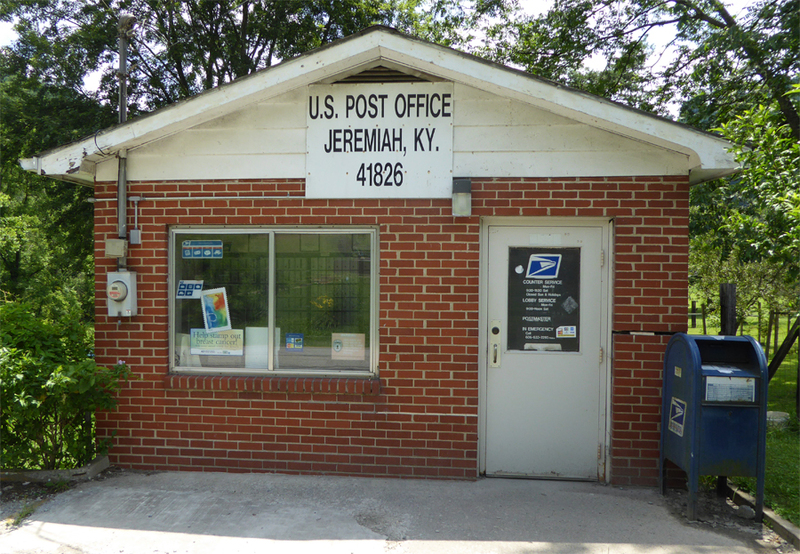 It’s first postmaster was named Isom Sergent, but the story is (according to my Kentucky Placenames book, cited elsewhere) that the community was named after George Gideon Isom, an early settler. The community is now known as The Stock Sale. 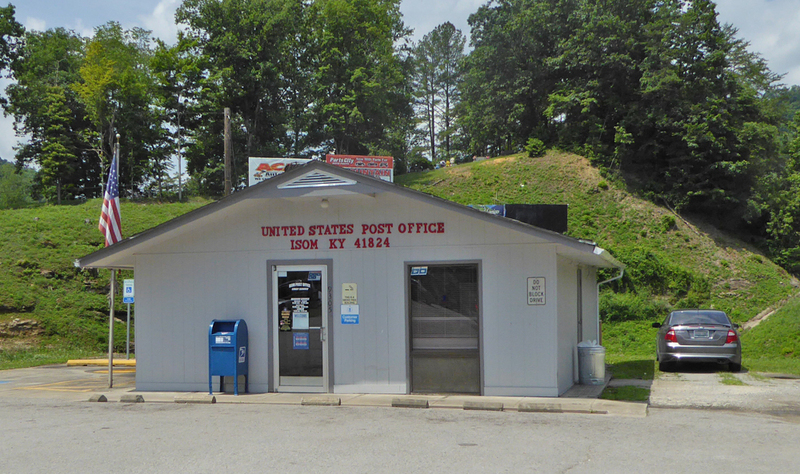 The post office is about 5.5 miles NW of Whitesburg KY.
Whitesburg is the county seat of Letcher County KY. A colony of Italian stoneworkers came to Whitesburg around 1911 to help build the L&N railroad, which operated up until the late 80s, when the tracks were taken out. Their expertise in ashlar stone work contributed to the beauty of several downtown buildings, especially the Graham Memorial Presbyterian Church (first picture), built in 1938. In fact, just below the name plate next to the door is a representation of a boot. I was told it was a homage to the stoneworkers’ native land. The next picture is a close-up of the boot. Then there is the very tidy ashlar stone arch bridge just east of town that crosses over the North Fork of the Kentucky River. A posting of this bridge on bridgehunter.com says it was built in 1912, but I think it is later (I welcome comments on this). Finally, a tightly cropped (I had a perspective problem) look at a proud, former Coca-Cola bottling plant, now a college.